Long Island’s native alewife and river herring are diadromous, meaning they live in both salt and freshwater throughout their life cycles. Each spring, these fish swim out of the ocean and “run” up Long Island’s rivers and streams to spawn in fresh water. Dams and culverts along these freshwater tributaries block access to much of the spawning ground for these ecologically important fish. Restoring native diadromous fish runs is crucial to the health of Long Island’s rivers and estuaries. 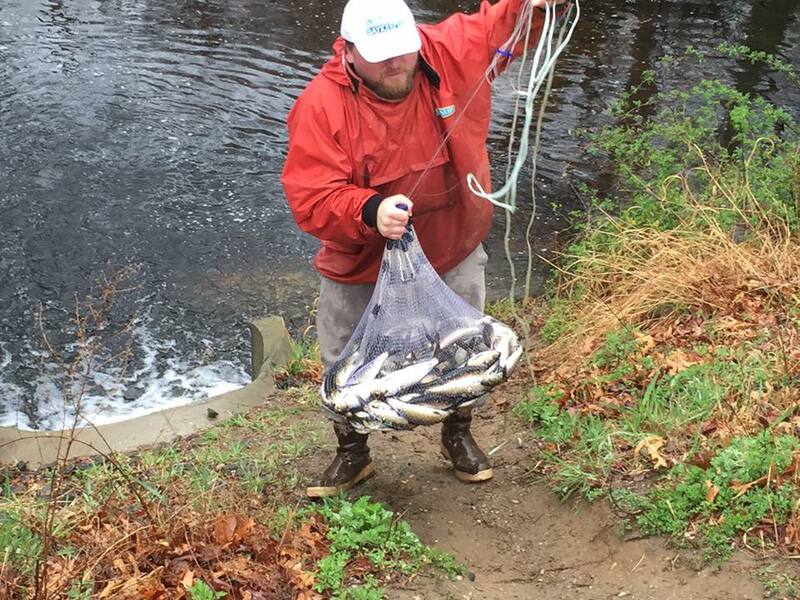 We support partner organizations such as Seatuck Environmental Association and Peconic Estuary Program in their efforts to monitor, stock, and improve access for these native fish. In April 2017, we worked with Seatuck Environmental Association to track and transport alewives at the east outfall of Massapequa Lake. We captured 61 alewives, two rainbow trout, one yellow perch, and one silverside. 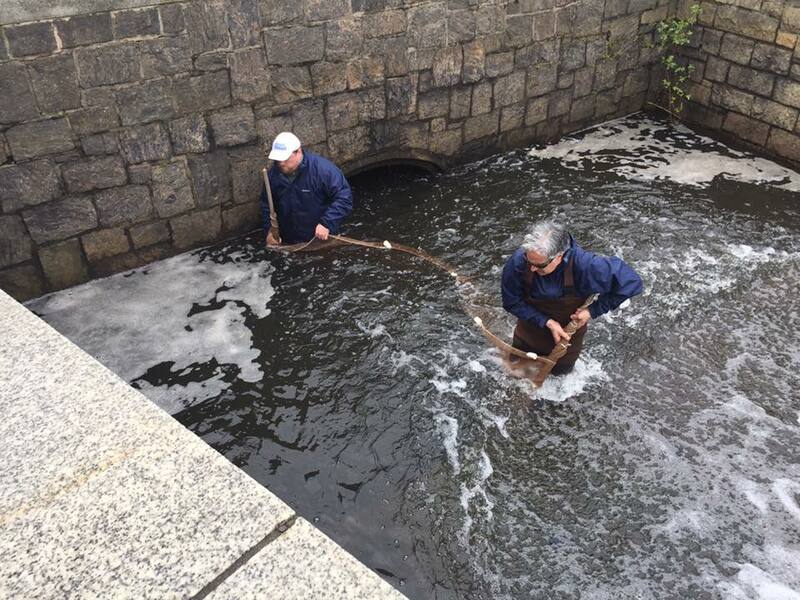 All of the alewives were released in freshwater above the dam, while the other species we released below the dam. For more information on the effort to monitor alewives on Long Island, visit the Seatuck Environmental Association website.